Pineider made waves in the stationery community last year by announcing that Dante Delvecchio, formerly of Visconti, had joined the company to focus on its fountain pen line. Pineider itself is not a new brand: based in Florence, Italy, they've been selling high-end writing paper and other stationery goods since the late 1700s, but only recently joined the contemporary fountain pen resurgence. 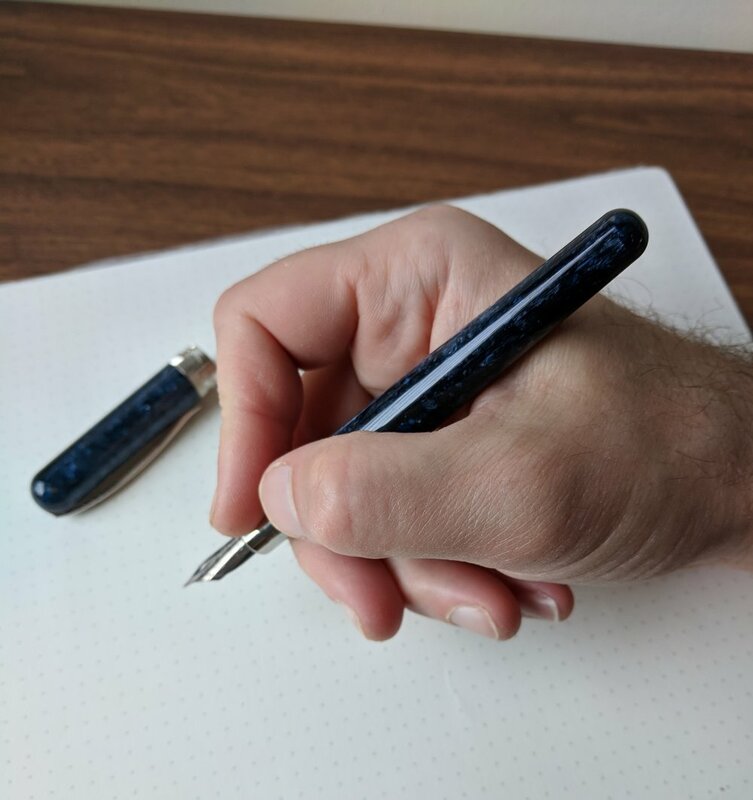 Over the past year, Pineider has released a few different models: La Grande Bellezza, The Key of Heaven, and the pen featured here, the Avatar. The first two are higher-end models outfitted with 18kt gold nibs, while the Avatar is the lower-priced, steel-nibbed offering. Pineider pens ship in a leatherette box containing a small assortment of Pineider stationery. Most of the Pineider models sport a similar design: a swirled or marbled acrylic body, a sculpted metal section, an engraved cap band, magnetic "soft" closure, and Pineider's signature "feather" clip. On the Avatar, Pineider refers to the resin as "stone effect," and it comes in four different color options: Pacific Blue, Saffron Yellow, Coal Gray, and Lipstick Red. I believe Pineider uses Bock nibs, based on the design of the feed, but I haven't been able to confirm this one way or another. The cap band features Pineider branding and what I understand to be the Florence skyline. The hinged feather clip might be my favorite detail on this pen. 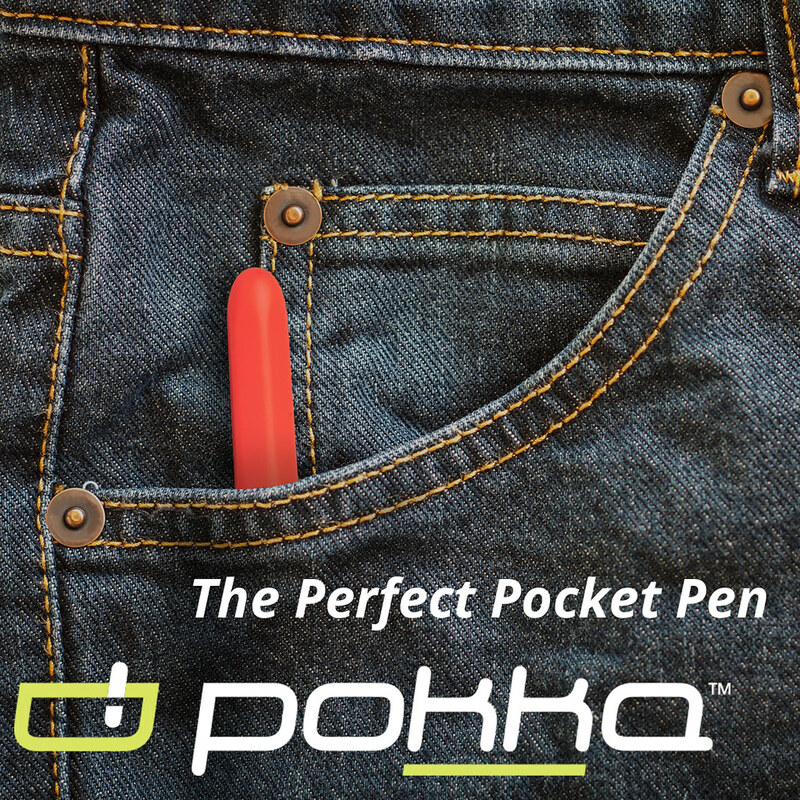 In terms of a writing experience, the Pineider Avatar is a comfortable pen to hold. 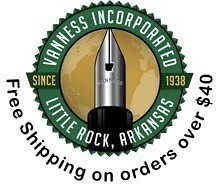 Resin cartridge-converter pens are typically very light, and the Avatar is no exception. The metal section front-weights the pen a bit, making for a good balance that I enjoyed. The standard stainless steel medium nib on this pen wasn't particularly exciting, but wrote well out of the box and would make for a perfectly nice daily writer. Since giving up my "death grip" on my fountain pens to ward off RSI issues, I've had better luck with metal sections not slipping out of my hands. The Avatar is a nice pen, and I don't have anything "bad" to say about it. 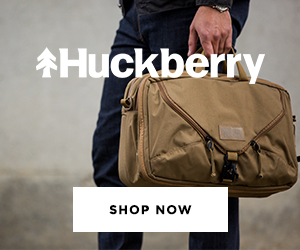 At the same time, it didn't get me excited about Pineider as a brand. It's impossible to avoid the inevitable comparisons to Visconti, given the Dante Delvecchio connection, and the Avatar reminds me, somewhat, of the Visconti Rembrandt (priced lower) and the Visconti Van Gogh (priced slightly higher). 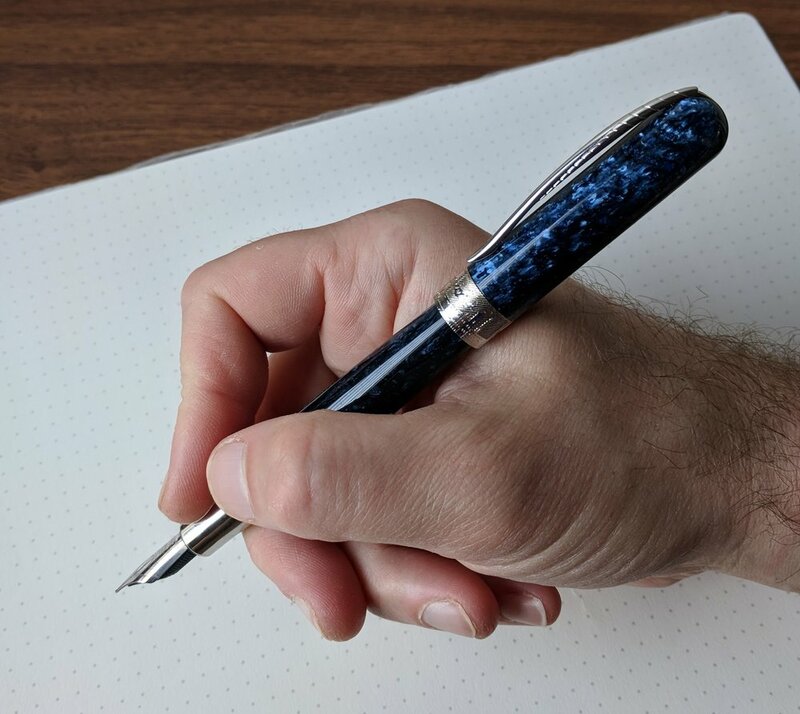 I do think that the two Viscontis seem more "finished" with their artist-inspired themes, while the Pineider Avatar seems to lack unique design cues that might justify paying a premium for the pen. 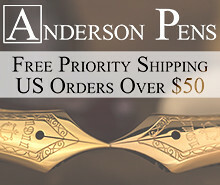 That doesn't mean they're bad pens - they're not at all - it's just that Pineider has pursued a luxury price point, and I suspect they will have a difficult time distinguishing their current three models enough to gain a significant foothold in this market segment. I've seen a lot of Pineider Pens on sale recently. 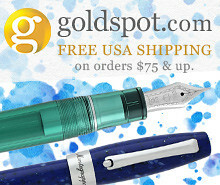 You can purchase the Pineider Avatar from our sponsor Goldspot Pens, currently priced at $224. 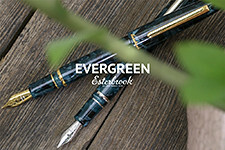 As I alluded to above, this price strikes me as a bit on the high side for this pen, though I've heard rumblings that Pineider's steel nib offerings might see a price drop as new models are released and production scales up. The pens are well-made, and if Pineider can hit the right combination of price/value they could become an interesting option. 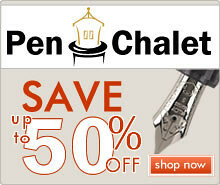 Disclaimer: Goldspot loaned me the pen featured in this review free of charge, for review purposes, and is a paid sponsor of this blog. 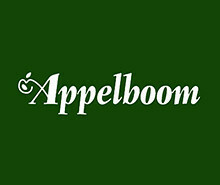 Many thanks to Goldspot for making this review possible!